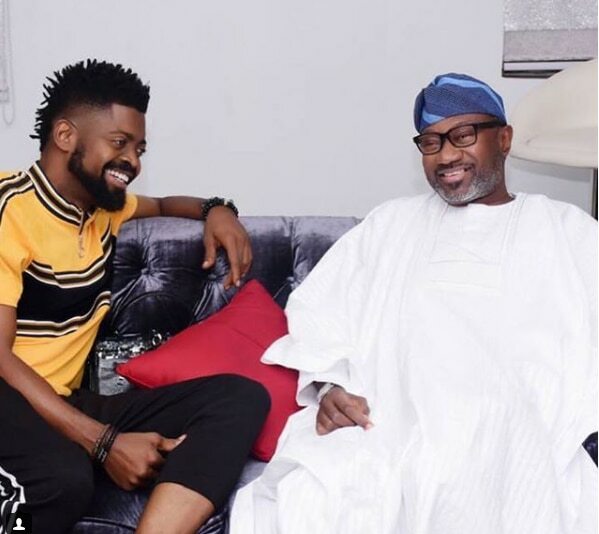 Basketmouth played a host to Femi Otedola, one of Nigeria's billionaires and Chairman of Forte Oil, at his home in highbrow Lekki, Lagos. The comedian took to his Instagram page to share a picture of himself and his guest, who looked happy visiting the Okpochas. "Boss!!!! @femiotedola thank you so much for coming through sir, na man you be. #Ote$$$$$," Basketmouth wrote as caption for the picture of himself and Otedola on Instagram. Reciprocating, Otedola posted the same picture and captioned it "Catching a laugh with @Basketmouth at his home." In 2017, Baskemouth won a recognition in the Pan-African Comic Award category at the Savannah Comic Choice Awards held at the Lyric Theatre in Johannesburg, South Africa, on Saturday, September 9, 2017. Basketmouth has joined the fun, indicating his interest in running for Governor. Only that he will be running as the first multi-state governor.